Even though trade show and expo 'CEATEC' is pretty unknown here in the west, in the east the fair is one of the real highlights of the year, showing off the pinnacle of today's most cutting edge technology and gadgetry, as well as pioneering future tech also. 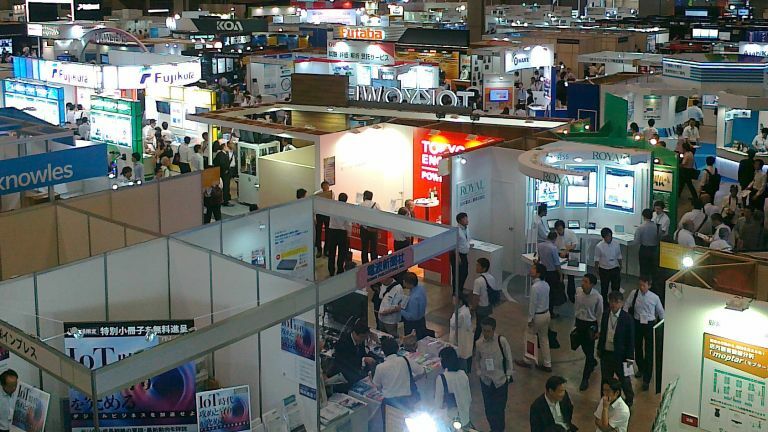 CEATEC is held every year at the Makuhari Messe, the same place where the Tokyo Game Show is hosted and in which T3 recently brought you comprehensive coverage of this year's show, and is akin to the CES of the east. The CES of the east?! Well, naturally T3 had to attend and report back in. What follows is our Day 1 roundup. Enjoy! CEATEC is place where the heavyweights of the Japanese tech scene (example: Fujitsu, Toyota, Nec, Sony, etc..) showcase their new technologies in advance. This is the tech that their R&Ds are working on now but we will have in our hands in say 5 to 10 years. So it is not surprising that the show is organized, financially supported and presented by the Prime Minister of Japan Shinzo Abe himself, in person! One of the biggest themes this year is 8K. Going around the fair 8K TVs are literally EVERYWHERE and the quality is really STUNNING (blowing 4K right out of the water). People look at these prototypes and very soon state that they can't wait to own one.. but (sadly) that won't be for quite a while yet. Yes, because even if right now we are following the debate on social media in the west as to whether we must upgrade our Full HD TVs to upscaled 4K TVs (I say upscaled because most of the original TV programs and games are still in 1080p), in Japan the most important firms have gone directly beyond 4K to 8K already! To be more exact, NHK (the national BBC) presented their first 100-inch 8K TV at CEATEC in 2011, when in Europe 4K TVs were only on flyers. But 8K doesn't seem the only (commercial) target of the manufacturers at the show this year, with lots of robots of every kind, and for any need, invading Japan. But after observing carefully most of them, sincerly the term 'Robot' is not very accurate, as the AI is extremely sophisticated. I think a more accurate term would be 'androids'. A clear example of what I am talking about is Toyota's amazing 'KIROBO' mini (the rival version of Sharp's 'ROBOHON' without the smartphone function inside). Japanese companies, due to the country's rapidly ageing population, are heavily investing in androids to replace not just the elderly workers in the manufacture of goods (Amazon also is on the front line), but also to look after them! These androids are created not just to speak or entertain as normal toys (and by the way the toy giant Takara-Tomy is also here at the fair), but can also assist and help the humans in their daily tasks. Of course for only 39,800 yen (around 300GBP) 'Kirobo' doesn't have facial recognition, but the fact that it can read our emotions and adapt his mood to ours, technically for such a so low cost it is certainly not a joke. We must imagine what it will be able to do in 5 years, when costs have been reduced and features expanded. Artificial Intelligence is also big in another sector, with tech giant OMRON investing - the ping pong machine is a clear example of how their R&D is preparing what Juniper Reserach used to say: "One in ten American households will own a consumer robot by 2020". Now to talk about some smaller one-off pieces of tech I've seen on Day 1. Of course, as at all the big tech shows of 2016, VR fever is present and kicking at CEATEC. One of the most notable here at the show is TE's "Hang Glider VR Experience" that lets you fly on a Hang Glider. The experience, I can tell you, is really unique and very satisfying. What does COCOROBO do more than clean your house? Sing your prefered (Japanese) songs of course. Cleaning + singing = INSTABUY! See you tomorrow for coverage of Day 2!